This elegantly illustrated volume is a journey through more than two centuries of remarkable discovery. 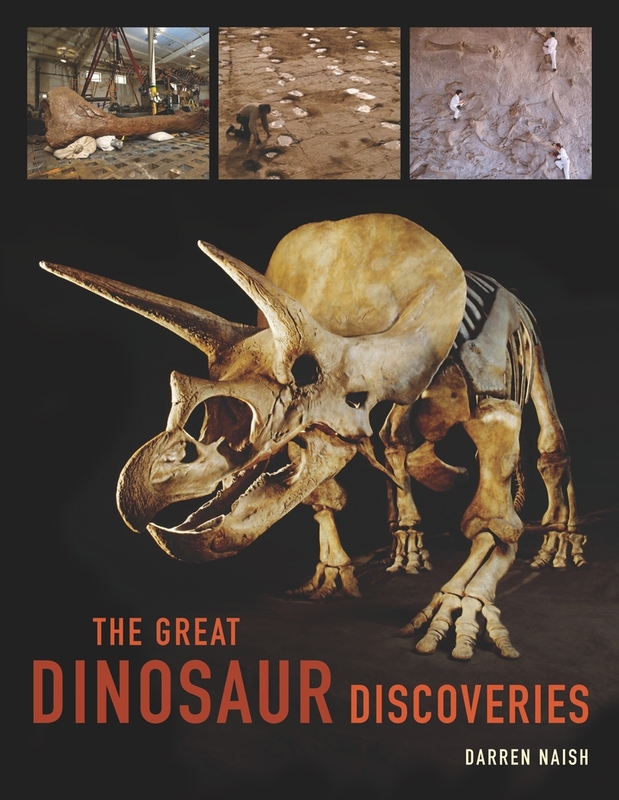 Books on dinosaurs are usually arranged by classification or epoch, but this unique work tells the story chronologically, in order of the key finds that shaped our understanding and brought these creatures to life for the public. From the fragmentary remains of giant extinct animals found in the early 1800s to the dinosaur wars in the American West to the amazing near-complete skeletons found around the world today, Darren Naish tells how these discoveries have led not only to the recognition of new species and whole new groups, but also to new theories of evolutionary history. Along the way, we encounter dinosaurs both familiar and obscure-including Tyrannosaurus rex, the giant sauropods, and most recently, the feathered dinosaurs of China. As he describes these significant finds, Naish explains in clear, accessible language, how our ideas about dinosaur appearance, biology, and behavior have developed and changed over time, and what the state of knowledge is today. Darren Naish is Honorary Research Associate in the School of Earth and Environmental Sciences at the University of Portsmouth. Among his books are Encyclopedia of Dinosaurs and Prehistoric Life, which he coauthored with David Lambert and Elizabeth Wyse, and Walking With Dinosaurs: The Evidence. How Did They Know That?, produced to accompany the acclaimed BBC series Walking with Dinosaurs.